These highly effective proprioceptive innersoles have been manufactured by Step Forward in USA since 1974. They are available in many countries across the globe. They were first introduced to New Zealand in 2006. Since then they have been fitted to many feet, either by doctors and therapists, or through the Step Forward team. In New Zealand, Step Forward Orthotics are available for $457 per pair, plus $15 NZ Post Courier. If you visit us at an event there is no obligation and no charge for the consultation and fitting. Check us out. 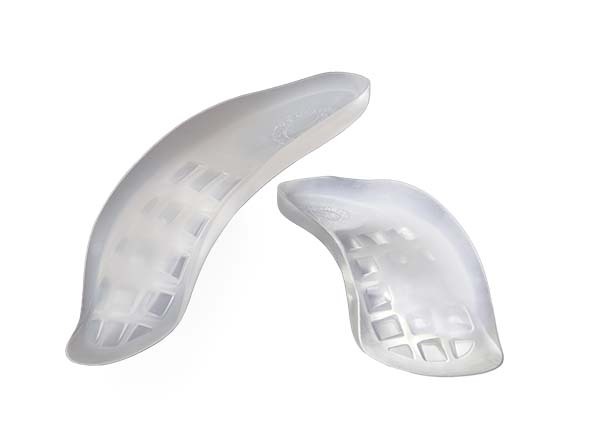 You can buy a pair of Step Forward Orthotics from us at a show or event, from one of our Clinical Consultants (doctors and therapists) or from our National office. There is not yet a distributor for Fiji or Samoa. If you are from either of these countries, please contact the New Zealand National Distributor. The unique design supports all three arches of the foot - the lateral, medial, and transverse arches. The flexing action works the foot muscles just like walking barefoot on soft surfaces. They can be worn in most kinds of footwear. In New Zealand, Step Forward Orthotics are available for $457 per pair. Very competitive price - compare the longevity of the product (works out at about $45 a year) and the fact that you only need one pair as they will fit in most shoes. They are also therapeutic, working with your body to correct and strengthen. You can buy a pair of Step Forward Orthotics from us at a show or event, from one of our Clinical Distributors. These three lists can be accessed from the menu above. If you are not yet sure, then keep reading this website. The rest of this section should answer all your questions. If you prefer to speak with someone, call 02745 88667 or text and we will call you back.